Dr. Christo Karaivanov, DVM, PhD. I’m glad to present you the Universal life force energy charged pills - my latest development in the field of subtle energy healing technologies based on ancient wisdom and an advanced New Age technology. ULFE pills are a new, unique and extremely powerful energy healing agent intended to provide an affordable and effective holistic healthcare for humans, animals and pets. I’m sure you did not arrive at my site by chance and do hope you will find here just what you are looking for. These are sucrose (sugar) or lactose (milk sugar) pills charged with Universal Live Force Energy (ULFE) in condensed form. The ULFE charged pills are made with the help of an advanced subtle energy technology and are designed to supply the recipient with extra nourishing Life force, which has been known for millennia to be a powerful vitalizing energy with unlimited healing potential. ULFE charged pills offer a new, unique, and very effective way of universal life force energy healing as an alternative to the traditional approach in which life force is channeled from the source through the hands of a trained healer into the recipient either in person (hands-on) or remotely. Life force energy treatment is absolutely safe and is beneficial to the health of woman (even pregnant), man, children (even babies). It is also excellent to be used on animals (dogs, cats, and horses), plants, etc. ULFE pills act according to the specific needs of the patient and can be helpful in the treatment of virtually all known mental, emotional and physical (acute or chronic) illness and diseases of any kind. It can be used either as a single or complementary therapy to Western medicine or other alternative healing modalities. As the name implies, life energy is the energy of life. Universal life energy is the subtle force that animates every living thing. It is the energy that flows through and around every living creature. It is the force that maintains all life and universe as well. It is the force that nourishes the organs, tissues, and cells of the body and supports their various functions. No living thing can exist without a continual flow of Life force. Life force energy is a universal energy. It is everywhere. It penetrates the universe and entire reality. There is virtually no space, no object in space, where we would not find this energy and observe its effects. Its source is inexhaustible. The universal life force is considered our connective flow to the Source and entire Universe. Existence and extreme importance of Life force energy for sustaining all life forms has been recognized by many cultures since ancient times. This energy has been given many names: Prana, Mana, Chi, Ki, Pneuma Magnetism, Odic Force, Orgone energy, Thachion Energy, Bioenergetic plasma, Unconditional Love, among them. Life force flows through our subtle energy field and within the physical body via pathways called chakras, meridians and nadis. It is responsible for our health and well-being. When energy circulates freely, people are healthy, happy, in touch with themselves, in direct energy-level communication with one another, and in tune with the universe. The more life force nourishes our body, the healthier is a person. If flow of life force through the aura field or body’s energy pathways becomes disturbed, stagnant, imbalanced or depleted, it cause diminishing the vital function of our organs and cells, and emotional or health problems tend to occur. 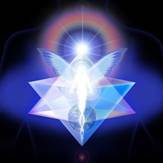 The removal of energy blockages is the solution for any physical, mental, emotional and spiritual issues of any kind. There is a number of different energy healing systems consciously or intuitively developed by different cultures throughout the human history, yet each aimed of restoring the normal flow of life energy. Among the most effective healing approaches are the systems based on application of universal life force as a therapeutic tool, Reiki technique being one of the most widely known. Traditional way of life force energy healing involves channeling of life energy from the Source through the hands of a trained energy healer directly to the patient’s body either in person (hands-on), or over a distance, thus bypassing the affected parts of patient’s energy system. Healing with universal life energy charged pills offer a new, unique and effective form of healing that will inevitably increase and facilitate application of universal life force for health purposes. ULFE pills are in fact a new way of using an old healing tool. The existence of universal life force was recently verified by the scientific community and nowadays life energy treatment in the form of Reiki treatment is practiced in thousands of large hospitals around the world as a complementary treatment. ULFE pills are intended to provide an affordable, natural and holistic healthcare for humans and their pets. ULFE pills are absolutely safe and can be used in all human and animal individuals, no matter age, physiological and health state. HOW DO ULFE PILLS HEAL? ULFE pills boost the body with all powerful Life force energy. Life energy possesses unlimited healing potential and it can bring positive changes in the treatment of virtually ALL known physical, emotional and mental diseases and ailments. Universal life force does not treat the disease itself directly. Rather, it locates and dissolves energy blockages within the energetic system that are the root cause of all health issues, thus allowing life energy to flow from the Source through the body in a healthy natural way. Universal life energy has its own unlimited intelligence, and adjusts itself according to the needs of the recipient. It knows exactly where it needs to go and what it needs to do. Life energy heals on all levels - physical, mental, emotional, and spiritual. It always goes to the deepest source of the problem. It heals humans, animals, plants and all other living beings. CAN ULFE PILLS TREATNENT DO ANY HARM? ULFE charged pills contain noting but pure life force embedded in a carrying inert substance of commercially available non-medicated sugar (sucrose) or milk sugar (lactose) pills/tablets, prepared in conformity with quality control standards for medicinal use. Life force is the purest of all healing vibrations. Universal life force possesses innate intelligence and can never do any harm. It exactly knows what to do and how to do. Life energy is a fine vibration that gently balances the flow of vital energies and brings health and well being to the recipient in a loving and caring way. Overdosing is never possible since life force energy knows how much healing energy is needed and only the necessary amount of energy flows through the patient. It is a natural healing energy that works in harmony with all other treatments (alternative or allopathic) and has no side effects and contraindications. Life energy treatment is absolutely safe and is beneficial to the health of woman (even pregnant), man, children (even babies). It is also excellent to be used on animals (dogs, cats, and horses). In addition, universal life force energy can never do any harm since it always acts in alignment with the Devin plan and the individual’s highest good and soul purpose. · Make life energy healing more accessible to the public. · Clears energy field from entities, implants, negative thought forms and negative emotions - anger, fear, manic, sadness, jealousy and envy. · Helps alleviate physical pain and discomfort of an injury or illness. · It can assist to reduce suffering and can promote peacefulness if a person is destined to experience illness. Traditionally used for human healing, life force energy treatment is gaining popularity as a holistic healing method for use with animals (horses, dogs and cats). Animals are very receptive to energy healing. They often respond to treatment quicker and with higher success rate than their guardians, since they don't carry the same amount of negative emotional and energetic "baggage" as most humans do. Besides, they accept the pure life force healing energy unconditionally, with open heart and without prejudice. In acute cases it is not rare to see first signs of improvement appearing within a few seconds after treatment. ULFE pills are an excellent and affordable alternative to the traditional energy healing systems. For animals that are healthy, ULFE pills treatment helps to maintain their health, increases endurance, enhances relaxation and provides an emotional sense of peace and contentment. For animals that are ill, ULFE pills treatment is a wonderful healing method for treating any illness or health condition: emotional, behavioral, and physical – acute or chronic. In fact, there is no condition that universal life force cannot address. Life energy treatment is very effective tool for reducing stress that domestic animals and pets suffer for a variety of reasons, including living in unnatural environments, absorbing the emotions of the homes they live in, taking on negative energies and diseases as a buffer to protect their guardians. For dying animals, life energy treatment is a powerful yet gentle way to provide comfort, relief from pain, fear, and anxiety, and to ease the transition to death. Although health improvement often occur in one or two treatments (especially in acute cases), some conditions may require regularly scheduled treatment program to complete the healing process. Emergency cases: Begin with one pill 3 times at 1-hour intervals, followed by one pill 2 times at 2 – 3-hour intervals. Acute cases: One pill 3 – 4 times a day for 1 – 2 days. Chronic cases: Begin with one pill twice a day for 3 – 4 days, followed by one pill a day until recovery. · Health maintenance: Begin with one pill a day for 3 – 4 days, followed by one pill once a week or every other week for maintenance. Daily treatments suggested on the most demanding of days. · Senior: Begin with one pill a day for 3 – 4 days, followed by one pill once a week or every other week for maintenance. · For animals nearing their transition: One pill a day for a week, followed by a one pill every other day for as long as needed for support in this process. Dose does not depend on the patient’s body weight. ULFE pills are absolutely safe and overdosing is never possible since universal life force always knows how much healing energy is needed and only the necessary amount of energy flows through the patient. The treatment regimen suggested above is for reference only. You may adjust the treatment to meet your individual needs. Trust your intuition and it will help you find out what doses and frequency suit you best. ULFE pills should be taken at least 15 minutes before or after eating or drinking. The pills are simply placed inside the mouth below the tongue and allowed to dissolve. This only takes a few minutes. When giving the ULFE pills to children, babies and animals, pills can be crushed and placed under the tongue. The pills are also effective if taken by mouth and swallowed. ULFE pills therapy, although a powerful healing system in and of itself, it can also be a wonderful and safe complement to Western medicine and other alternative healing methods such as Chinese Medicine, Homeopathy, Chiropractic, Acupuncture, Herbs, Aroma therapy, Crystal therapy and Bach flower essences. Note that if you are currently taking medication then you are responsible for checking if at some point there may be a reduced need for medication, if your body and mind have brought themselves back into balance. · Do not store above 25°C. · Keep away from direct sunlight and strong electro-magnetic fields emanating from monitors, TV sets, microwave ovens, and other electrical appliances. ULFE pills (or pillules as called by homeopaths) are made of sucrose (sugar) or lactose (milk sugar) substance (or a mixture of both) and contain noting else but pure universal life force energy charged on the substance. If you have an intolerance to lactose, avoid taking ULFE pills (for patients wanting to avoid sucrose or lactose, non-sugar pills made from Xylitol can be ordered on request). ULFE pills are white sugar tablets 6mm in diameter, or globules 3 or 4 mm in diameter, with sweet taste. ULFE pills come in a 5ml/4g brown amber glass bottle filled with 40±1 pills. Neither traditional medicine nor any alternative system of healing can provide any guarantee of cure. Although universal life energy healing has been proved for a few thousand years to have very high success rate in healing any health conditions, including diseases considered to be incurable from conventional western medicine, things might not always look that way. The patients, however, will always receive help in the highest of ways possible in the moment. As with many holistic regimens, success of ULFE pills treatment depends mainly on the patient’s conscious and subconscious desire to be healed and willingness to open himself/herself to the healing grace of universal life force energy. The only guarantee I can give is that ULFE pills are made with much love, contain love (unconditional love is one of the other names for universal life force energy), and they really work in a loving and caring way. 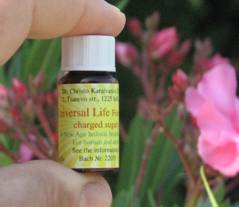 Universal life force energy charged pills are not health or therapeutic agent. They work solely on bio-field surrounding the body and not on the physical body itself. In no way are this ULFE pills intended to be treatment of any physical ailments/diseases or to be substitute for proper medical care by a licensed physician/veterinarian. I would greatly appreciate any comments or observations on ULFE charged pills anyone has to offer.